7 Ways To Get Straighter Teeth- Everyone dreams of a perfect smile, just like the one Hollywood stars have. But the road to get straighter teeth is not that simple. There are many options to choose from, but always do that under the advisory of your dentist or orthodontist. 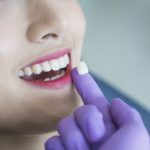 Below you will see the ways you can actually upgrade the appearance … Continue reading "7 Ways To Get Straighter Teeth"
7 Ways To Strong Teeth- A shiny smile with perfect teeth is every person’s dream. But unfortunately because of the fast lives we live it can be really hard to eat and drink properly without damaging our teeth. Also, visiting the dentist can be a very traumatizing experience for most people. 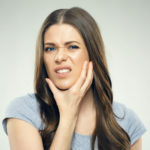 Some get scared just by the thought of going … Continue reading "7 Ways To Strong Teeth"
Temporomandibular Joint Disorders- The temporomandibular joint connects the lower jaw with the skull. It is the only mobile joint on the head, and it is responsible for the most important functions such as chewing, swallowing and talking. Each person has two temporomandibular joints. Temporomandibular disorders are very common among people. This is a group of conditions that affect … Continue reading "Temporomandibular Joint Disorders"
Dental Phobia- Scheduling regular dental checkups is essential for the health of your teeth and mouth. 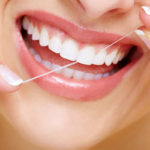 Aside from brushing and flossing you should visit your dentist at least twice a year. Taking a seat at the hot dental chair is definitely not a pleasant experience for most people. 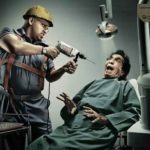 Some experience a slight anxiety just with the thought … Continue reading "Dental Phobia"
All You Need to Know About Dental Erosion- What is Dental Erosion? Dental erosion is a very common condition that results in tooth wear and loss of tooth’s hard substances. 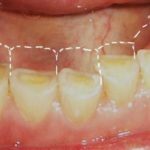 Besides caries, there are several conditions that cause this loss and are not generated by bacteria. The process of erosion is very similar to the one that happens during caries, but the causes … Continue reading "All You Need to Know About Dental Erosion"
How to take care of your child’s teeth?- Taking really good care of your child’s baby teeth is of an utmost importance. People very often think those baby teeth shouldn’t be taken care of the same way as the permanent teeth since they fall off. But, of course, that this is not true. 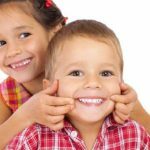 Many parents are struggling with questions on how and when … Continue reading "How to take care of your child’s teeth?" How to fight the bad breath?- Many people out there are struggling with bad breath. This can cause many insecurities and difficulties especially if you need to communicate with other people at all times. The busy everyday life and bad habits are just a small part of the factors that can lead to an unpleasant breath. Poor oral hygiene, alcohol, smoking, … Continue reading "How to fight the bad breath?" 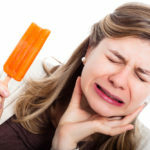 What Is Tooth Sensitivity?- Have you ever felt an uncomfortable or even throbbing pain while you were drinking cold water? Well if yes, then you are a part of the many million people that are experiencing tooth sensitivity. This condition is also known as dentin hypersensitivity and it happens once the dentin is exposed directly to the oral cavity. 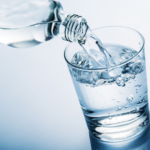 … Continue reading "What Is Tooth Sensitivity?"